Buy this item and earn 623 ClubPoints. 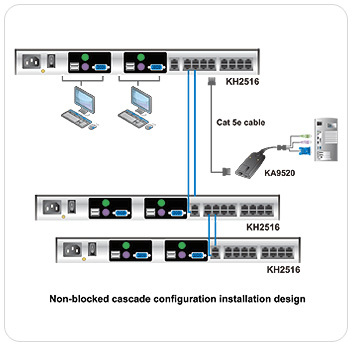 KH2516 CAT-5 KVM switch is a dual channel device, allowing two operators to independently and simultaneous access up to 16 directly connected computers, and up a maximum of 4096 servers through three level cascading. 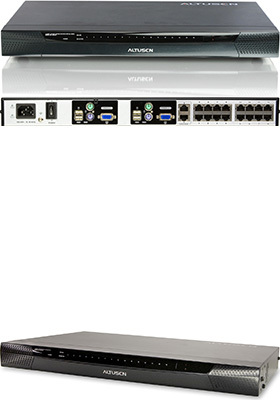 The CAT-5 connections allow servers to be separated from the KVM by up to 130 ft. with a maximum video resolution of 1280 x 1024 @ 75Hz.